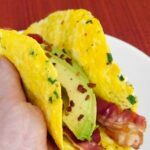 These low carb egg wraps are easy to make just for one person! 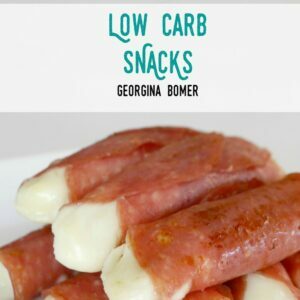 Ideal for breakfast, lunch or a healthy snack! 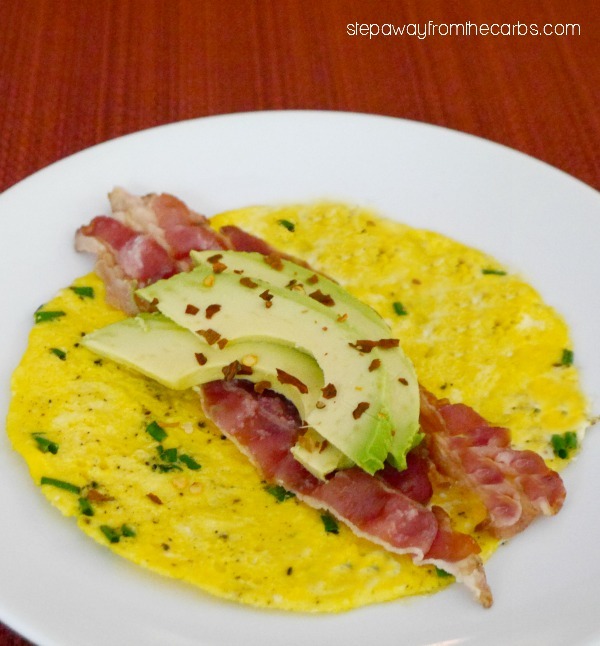 If you read my blog regularly you’ll know that I’m a huge fan of low carb tortillas. I use them for nachos, quesadillas, tostadas and more! But I do understand that they’re not for everyone, so here’s an alternative – egg! I’ve added snipped chives to mine but you can leave this out and customize them however you like. It’s so easy! Heat a small non-stick skillet and spray it generously with non-stick spray. Beat one egg in a jug and add finely chopped chives, salt and pepper. Add the egg to the skillet and heat until it has cooked on one side. Flip it over, and cook on the other side. The wraps are so thin it only needs a few minutes on each side! Slide the cooked egg wrap onto a plate, and load it up whatever you like. 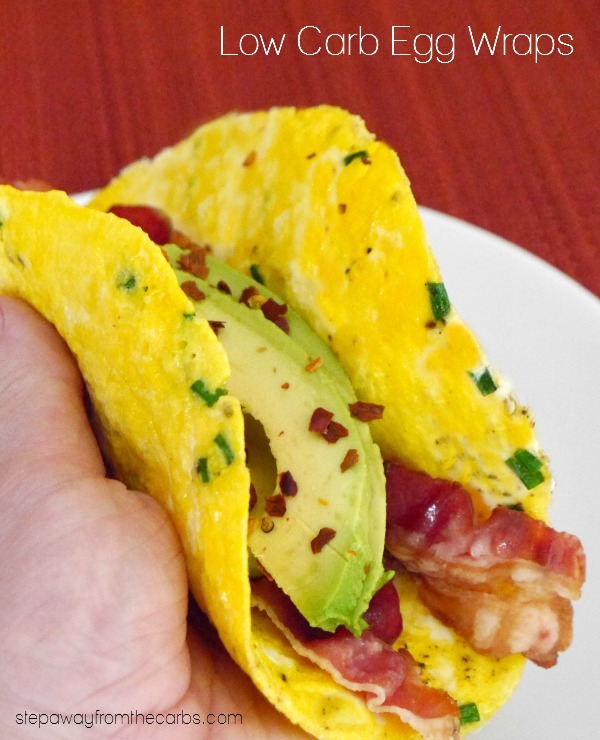 Shown here is cooked bacon, avocado slices and some red pepper flakes. But other options include cheese, deli meat, hummus, veggies, guacamole, cooked chicken, hot sauce, and more! Slide the cooked egg wrap onto a plate, and load it up with whatever you like. Thanks Wanda! Personally I’m a big fan of them, and use them all the time. 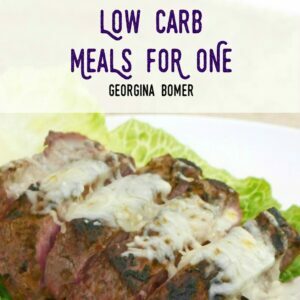 Mission Wholewheat Carb Balance is my current favorite – but there are lots here: https://stepawayfromthecarbs.com/low-carb-tortilla-comparison-review/. But I know that they aren’t for everyone, which is why I thought this egg wrap might be useful. I also use lettuce leaves as wraps! I prefer the Joseph’s Lavash Bread (https://www3.netrition.com/josephs_bakery_lavash_bread.html), which the local Walmart now carries. 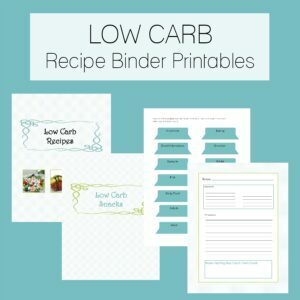 Same texture as the low carb tortillas, but I cut the sheets into 4″ square to use as bread and pizza crusts. Works perfectly as hot dog “bun” for either hot dogs or a chicken salad. 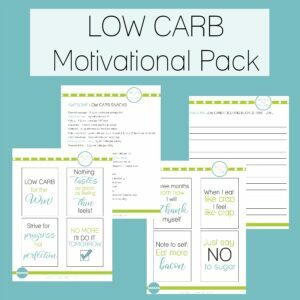 I find I need less of it than if I did a tortilla wrap, so fewer carbs.